Can you put a price on love? Well, you certainly can’t buy it but you can adopt it! In general, all of our adoptable dogs under 1 year old have a standard adoption fee of $350.00 and $300 for dogs older than 1 year. Adoption donations from the younger, more easily adoptable dogs help offset the cost of saving the others. Most of our dogs have a sad story to tell, and some have suffered through years of neglect or abuse, all through no fault of their own. Why does it cost so much to adopt? 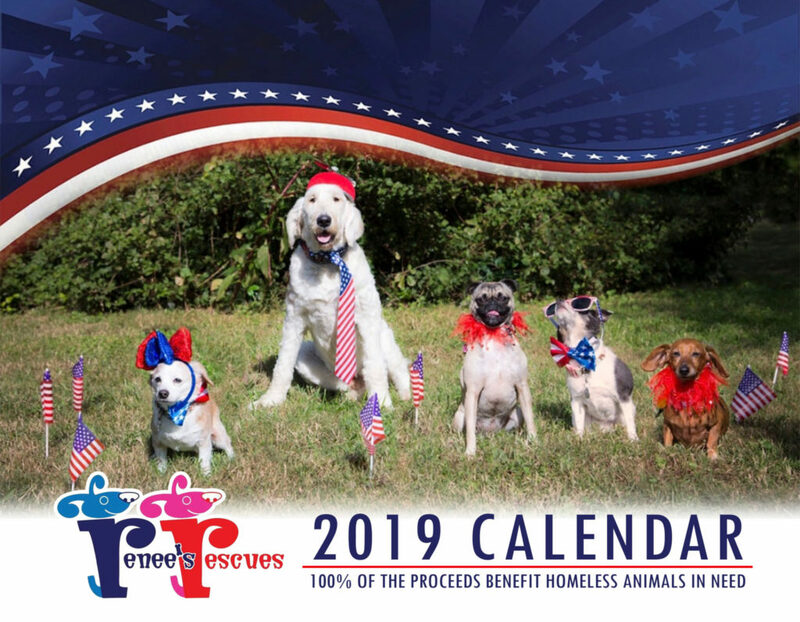 The cost of adopting a dog from a rescue might seem like a costly endeavor, but when you break it down – it really is very reasonable. To the animal whose life is saved – it is priceless. 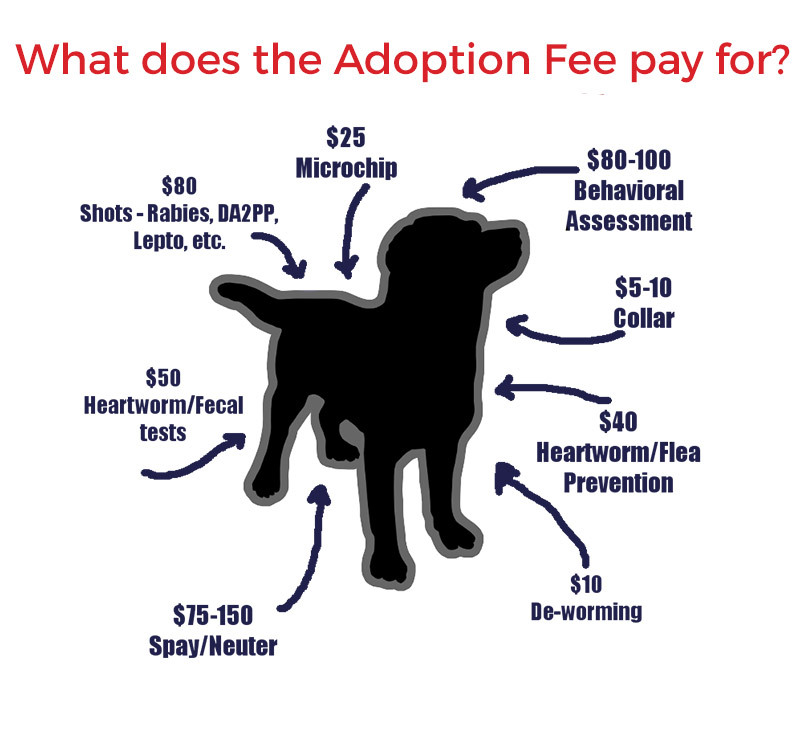 To give you an idea, here is an estimated breakdown of our (discounted) costs for one dog prior to being adopted. 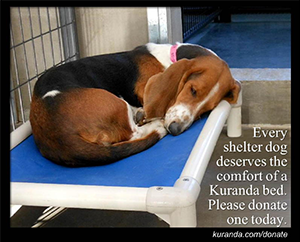 This does not include general supplies like crates, dog food, dog toys, etc.